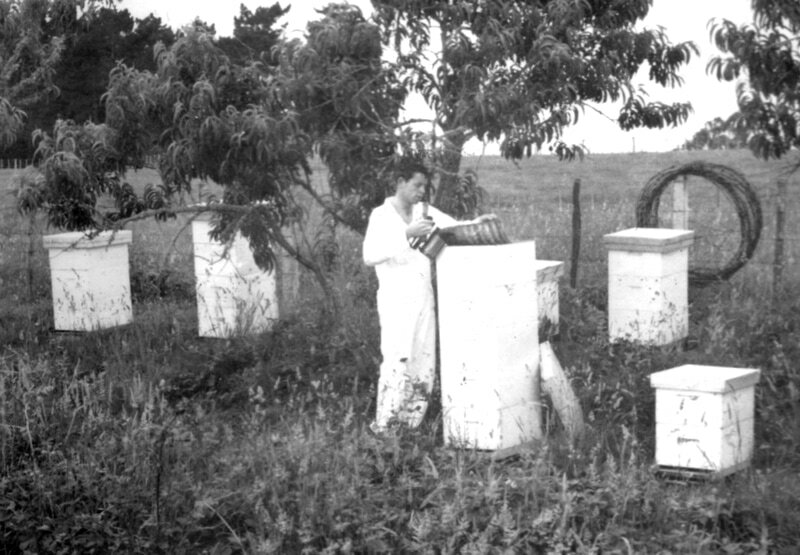 Geoff Matthews, a long-time Lynfield resident, started beekeeping 55 years ago as a 14-year-old boy living in Glen Eden. After reading about bees, he bought two beehives from a Glen Innes beekeeper and taught himself basic beekeeping practices. But soon after getting underway with his new hobby, disaster struck; a hive donated to him by a local veterinarian contained an incurable American Foulbrood disease which spread to his two newly purchased hives resulting in all three hives being destroyed by Department of Agriculture apiary inspectors. Those same inspectors were so impressed with Geoff’s ability to identify the disease in all three hives that they offered him a job as a part-time apiary inspector, visiting and checking all the beehives in West Auckland from New Lynn to Taupaki. At 14, he was the youngest apiary inspector in the history of the Department of Agriculture. 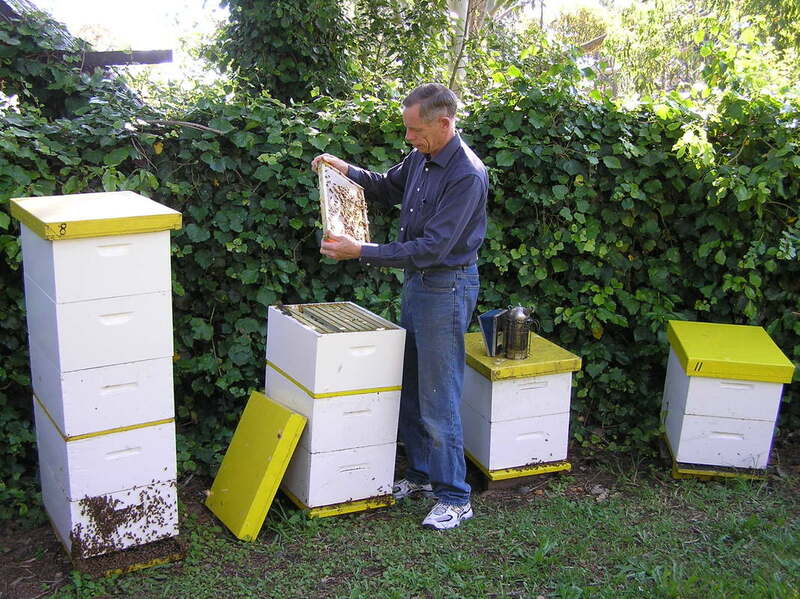 Within a few weeks, Geoff was able to gain new hives and within a year had built up his hive numbers to 20, often hiring out his hives to orchardists in Oratia for pollination services during the Spring blossom season. During a sports lesson at Kelston Boys High School, Geoff’s form five class had to run for cover as a swarm of bees flew over the sports field. Geoff asked the sports teacher for permission to catch the swarm, and he followed it to the back of a sawmill in Great North Road. Once it settled on a gorse bush, Geoff was able to cut the branch with a borrowed saw. He then walked back to school with the swarm hanging off the branch. Needing to ask a school friend to take him home on the back of his motorbike, Geoff walked into his English classroom still holding the swarm, to ask the teacher to release his friend for the trip home. The teacher and most of the class were traumatised by the sight of the swarm and some made attempts to climb out of the classroom window! 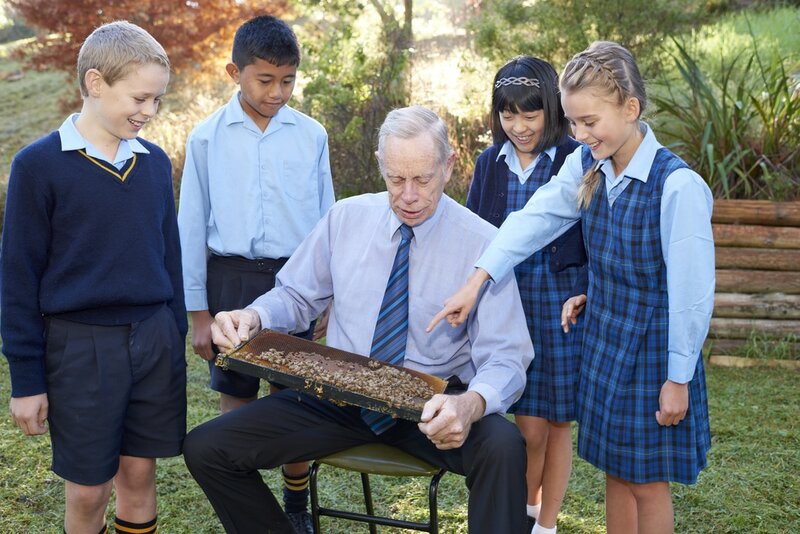 The teacher quickly agreed to Geoff’s request to borrow his friend and Geoff was able to drop the bees in a new hive at his home and return to school. 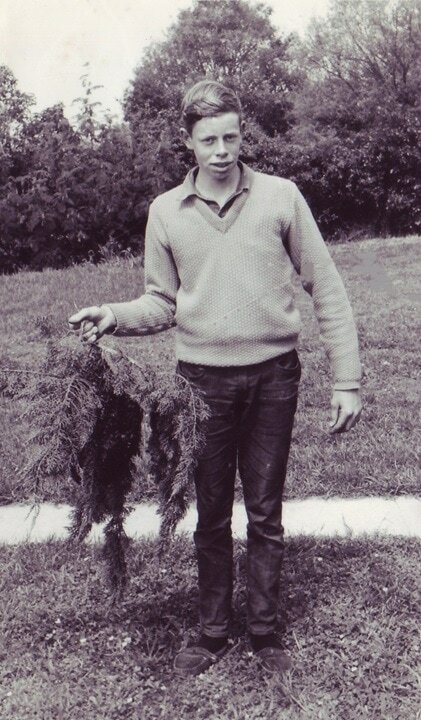 Upon finishing his education at Kelston Boys High School Geoff seriously considered joining the Department of Agriculture as an Apiary Instructor, but this necessitated gaining an Apicultural degree from Canada which he could not do at the time due to his lack of science subjects studied at school. Instead he started working as a quantity surveyor for a year before deciding to begin training as a teacher. Teaching gave Geoff lots of opportunities to share the wonders of the life of honeybees with his students, often setting up observation beehives in classrooms where the children could watch the bees returning to the hive with nectar and pollen, storing them in the wax hexagonal cells, performing wagtail communication dances, building honeycomb and watching the queen bee lay eggs. Even today, the students at Hebron Christian College, where Geoff has been the principal for 26 years, all know about honeybees, their life cycle and benefit to mankind. Two beehives are kept on the school site which Geoff uses to demonstrate beekeeping skills to the students. He even sets up his extraction equipment and demonstrates honey harvesting to the primary and secondary assemblies. Small group workshops have also been run at Royal Oak Baptist Church where Geoff is an elder, and the church can now access a good supply of local honey. Geoff assembles new wooden floorboards, boxes and lids during the winter months in preparation for the new spring season. The development of plastic frames has been a welcome invention and new polystyrene beehives made in Denmark are currently been trialled in Geoff’s apiaries. Rearing new queen bees allows Geoff to stock his hives with young virile queens which helps the hive reach maximum numbers of about 100,000 bees by the time the honey flow starts in October and November. Geoff now has about 25 hives he manages on properties in Hillsborough and Lynfield. Geoff rarely wears protective clothing while handling his bees believing that bees have the ability to recognise fear, something he doesn’t exhibit when managing his hives. Honey harvested in the area is mostly Pohutukawa which he gives away to friends and needy causes, and sells cheaply to school families and neighbours, giving the profits to the New Life Foundation orphanage in Moshi, Tanzania. 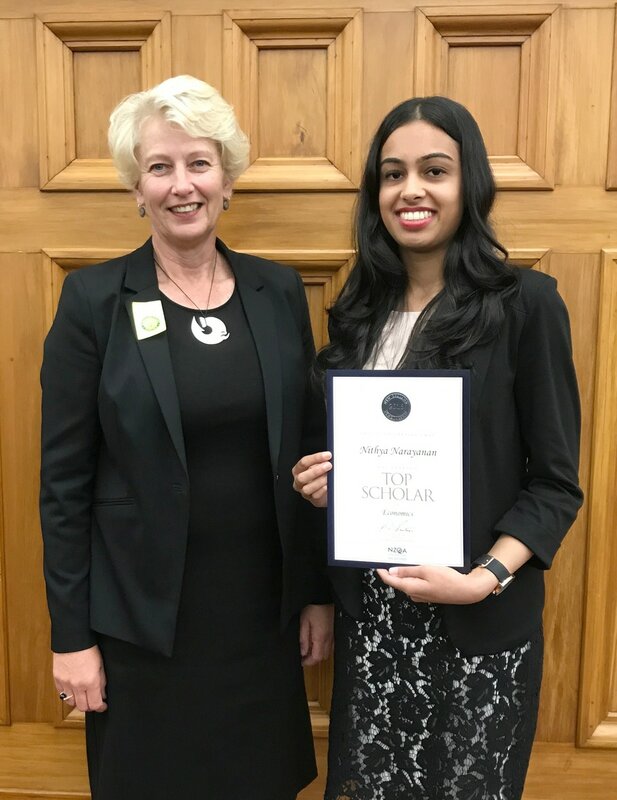 High-achieving Blockhouse Bay resident Nithya Narayanan travelled to Wellington in May to receive the Top Subject Scholarship for Economics, at the New Zealand Scholarship 2016 Top Scholar Awards. These Awards, hosted by the Minister of Education in the Grand Hall at Parliament Buildings, Wellington, celebrate the academic achievements of the highest achieving secondary school students in the New Zealand Scholarship Examinations. Also invited to attend the Awards was new Lynfield College Principal Cath Knell, who was present at the ceremony. “An outstanding achievement,” Ms Knell commented proudly of Nithya’s award. 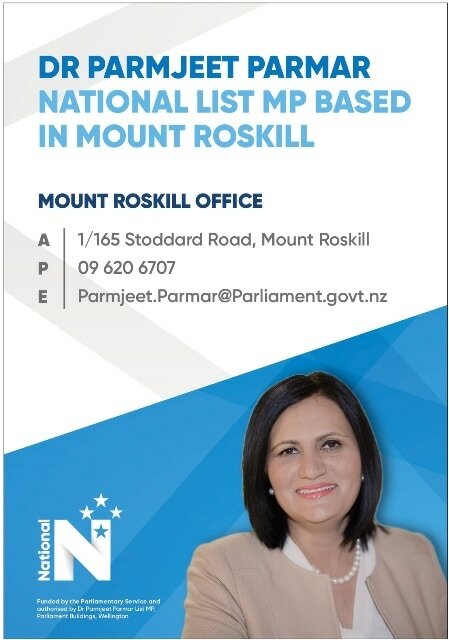 Nithya attended Blockhouse Bay Primary School, Blockhouse Bay Intermediate and then Lynfield College. She was the NZ Spelling Bee Champion in 2013 as a Yr10 student, winning on the spelling of ‘perestroika’, meaning ‘the policy or practice of restructuring the economic and political system in the former Soviet Union’. Nithya then went on to achieve 1st in Scholarship Economics. She is currently studying English, Latin, Economics and Law at the University of Auckland. Congratulations Nithya from the Lynfield College community. Glenavon is a culturally diverse community sandwiched between Blockhouse Bay and Avondale, and surrounding Glenavon School. In 2008 the Glenavon Trust was formed when a group of neighbours got together to see what they could do about some nagging social issues, such as tagging, vandalism and intimidation. Their vision was to encourage a culture of caring with the residents of this small neighbourhood, fostering relationships and connecting people, and organising and supporting positive programmes and networks. They also established a community hub in the old school dental clinic for the community and service providers to use. A recent event was a street barbeque for Neighbours Day, which had a good turnout of neighbours from Holbrook and Hertford St. 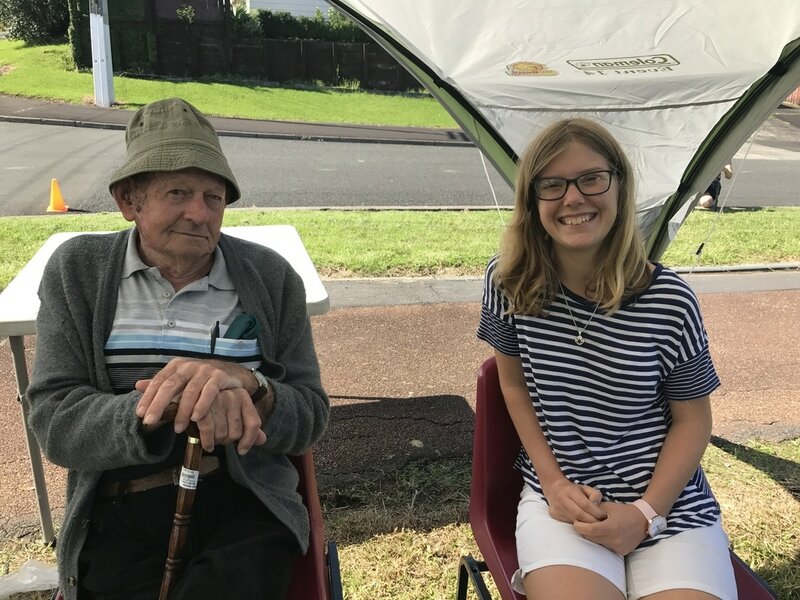 The Trust shared what they’d been doing for the past ten years and there was discussion about the new Housing New Zealand Special Housing Area (SHA) on the corner of Hertford and Holbrook. With regular community events now established, and past projects completed such as free driver licensing education and training, and the pilot of a “basic steps” sports and life coaching programme for 13-16 year olds, the Trust have formed a vision for the future. They look forward to creating a ‘village’ concept where groups of roads identify themselves as a village and compete with other villages in sport, or get together for social events. Their vision also includes seeing neighbours interacting with their neighbours, and more locals involved in running their own community projects. Scouting conjures up images of badges, campfires and doing good deeds, and it is all that, but it is also much more. For Sea Scouts, sailing and rowing are a big part of the programme. 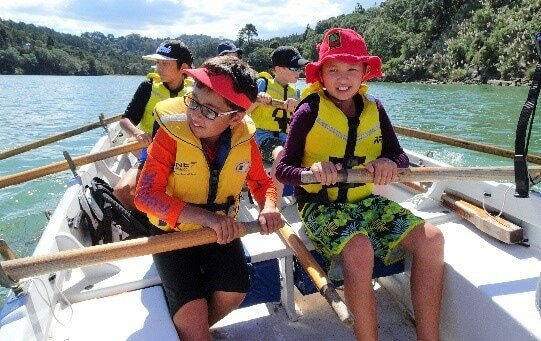 Western Bays Sea Scouts who are based in Margaret Griffen Park, Lynfield, have been heading out to French Bay for regular rowing and sailing practice in preparation for the triennial National Sea Scout Regatta, being held at the end of this year in Porirua. 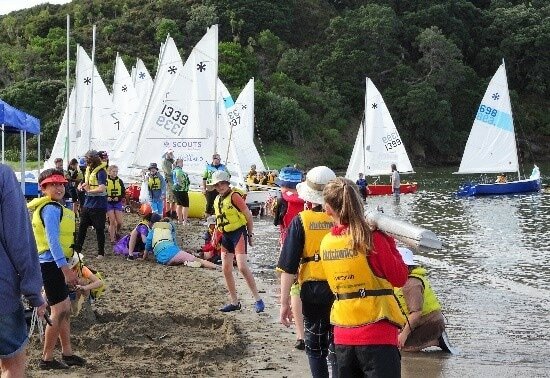 They also attended the Auckland Area Regatta at Shakespeare Regional Park in March/April. 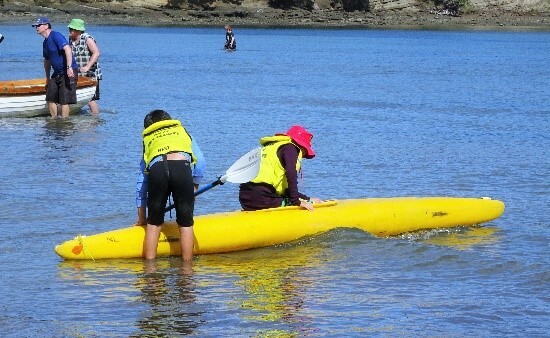 Although there was little wind at first, which is not good for sailboats, the Scouts were still able to take part in other events including kayaking, raft building, seamanship and tug-of-war. And it is never hard to find something to do at the beach! To become a Scout, or even a Kea, Cub or Venturer, you need to learn a few basic Scouting principles, which is then confirmed in a special ceremony called an Investiture. Not content with ‘average’ ceremonies, Western Bays Sea Scouts held their Scout and Venturer Investiture at a lava tunnel. Once the formalities were over, the Scouts and Venturers (plus leaders, parents and siblings!) slid down through the narrow entrance and explored the hidden grotto. A marshmallowy hot chocolate completed the evening. 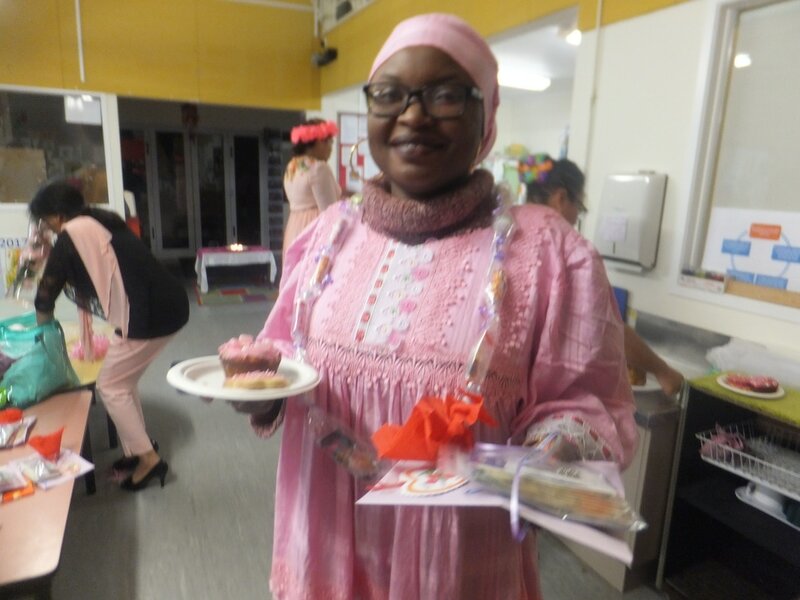 “A real celebration of Mumhood, that’s what I’d call it,” said teacher Mel describing Glenavon Early Childhood Centre’s recent Mothers’ Day celebration, which was a quaint, “very pink” evening brimming with appreciation for our matriarchs, the undisputed backbone of family life. “The turn-out of mums and grandmas reflected our diverse community and created a warm and welcoming melting pot of sharing, with a little friendly competition thrown in for good measure,” Mel said. Biscuits and cupcakes were iced, lolly leis made, and stories shared. The mums mixed, mingled, and paired up for Sari dressing and a stroll down the catwalk. They yarned over hot cuppas, and nibbled on tasty treats. Some walked away with a prize, but all left feeling appreciated and celebrated after being showered with cards and gifts from their children. Thank you, ladies, for a lovely evening. Sometimes, whether you like it or not, life takes you on a journey. For me it was a journey of mind over matter. Back in May 2016 I had a cardiac arrest while teaching an Aqua Aerobics class at the Onehunga Pools. Although a healthy, fit, pro-active, and positive individual, I nevertheless had to be resuscitated by staff with the use of a brilliant piece of 21st century equipment, the AED defibrillator. I was brought back to life, which for a few tense minutes we thought would never happen. Twelve months on and I am so loving my new life. “Take your time. No hurry to come back to teach your classes because Debbie and Rosie are there to cover,” I was told. “But,” you may ask, “didn't I see you taking Brain Function and Neva Give Up on Mondays?” Absolutely! Because I had no memory for two days, I decided to create a class that will help other people, regardless of age, to try and pull from their memory, bits of lost information. We started out with just a few. Some outdid themselves, so I weeded out those fortunates and concentrated instead on the challenges. We are progressing very well, tackling Scrabble, word-find, crossword puzzles, card towers etc. If I run out of ideas, I utilise the Beacon - I highlight my copy for questions, and the answers are scattered which means they must skim through the pages. 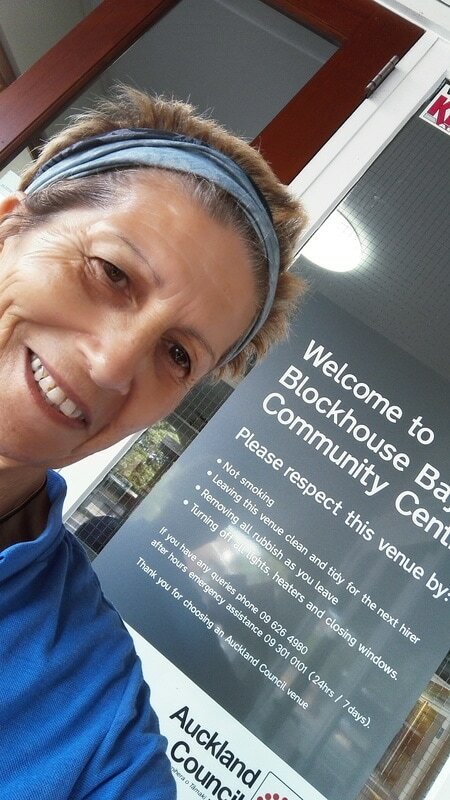 Another exceptional class, and my pride and joy, is Active Achievers – a group of seniors aged 70-plus, having fun each Wednesday at 9.30am while actively achieving their goals with dance and team building, and finishing with morning tea. I am so blessed to be part of the Community Centre, and my two colleagues and myself are so grateful for the support of Graham, Maree and Stephanie. Nga mihi kia koutou katoa. Hearing Therapy, a free service to help New Zealand adults live well with hearing loss, is now available at Blockhouse Bay Community Centre. Hearing therapist Therese Leach will attend the centre every Monday to provide hearing tests and offer practical advice for managing hearing loss and conditions like tinnitus, and help with communication difficulties. She can also give information on hearing aids and other assistive technology like smoke alarms and amplified telephones, and advice about funding options. Hearing Therapy is free and funded by the Ministry of Health for New Zealanders aged 16+. 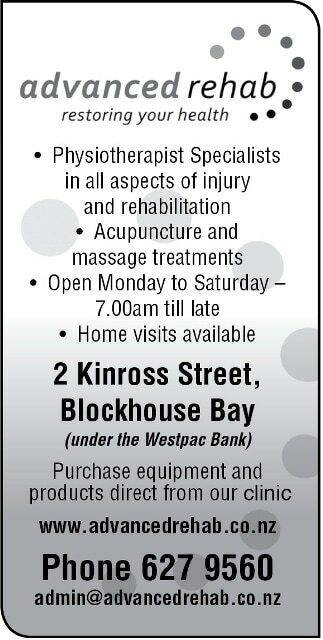 Call 0800 008 011 or visit www.hearingtherapy.co.nz to book a free appointment. Many locals would be unaware that driver testing is now available virtually on our doorstep. 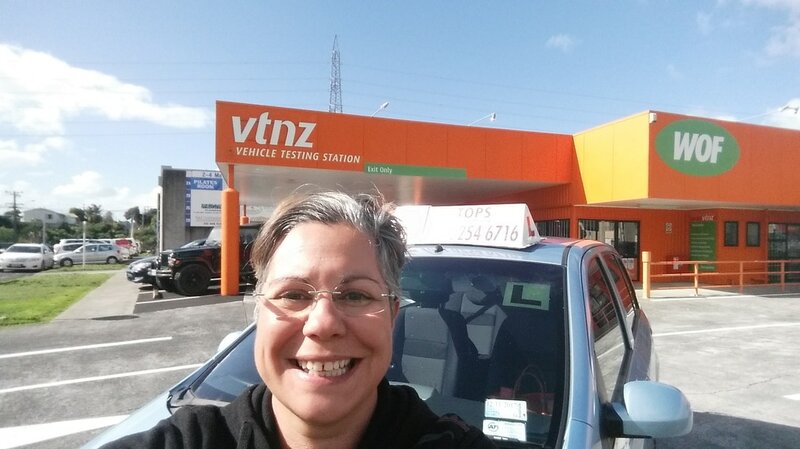 Since February 2017 VTNZ in Portage Road, New Lynn, has been offering learner, restricted and full driver testing. Local driving instructor Louise Neto, from Tops Driving School, commented that this development has made a significant difference to the confidence of her students as they prepare for their tests, knowing that the streets will be familiar to them. 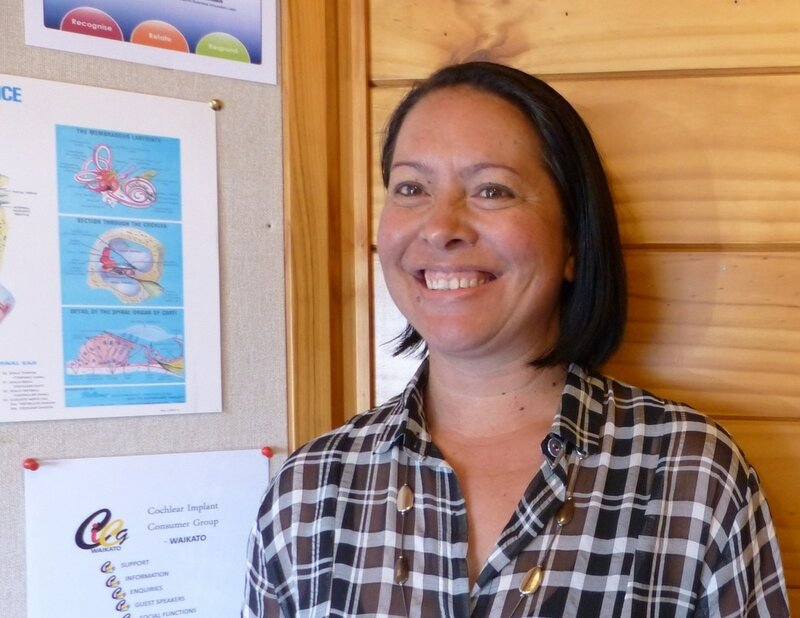 Prior to testing being available in New Lynn, Louise had to prepare her students for testing at Westgate. "I love how much easier this makes life for my students" she says. Louise, who boasts a 98% first time pass rate, can be contacted on 021 025467, or look up Tops Driving School on Facebook. When Sarah arrived at school, she went to collect a late slip. 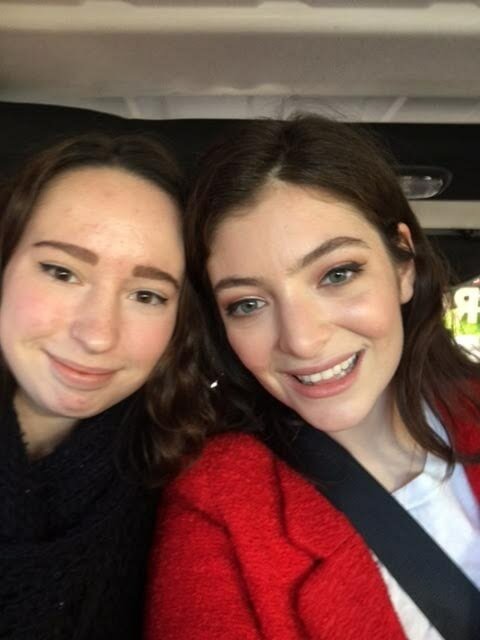 Instead of the usual excuse of 'traffic' or 'my alarm didn't go off', Sarah's reason was a little more original..."I got driven to school by Lorde!" she said in a shaky voice. Sarah and her mum were having breakfast in a cafe in Freemans Bay, when The Edge car pulled up and Jono, Ben and Sharyn (radio hosts) approached her and said that someone pretty cool wanted to drive her to school. It was Lorde! She happened to be in Auckland, having recently attended her sister's graduation. With the OK from Sarah’s mum, Sarah and her new BFF made their way to Green Bay High School. Their drive was recorded for a segment on the Jono and Ben TV show. This is a well-known fact. Even prospecting for gold costs money; usually it’s worth it but not always. So, how much do you need to spend to get your return? Here’s a guideline of expected costs to get a resource consent for a sub-division. For a minor dwelling the cost is approximately half. All prices include GST. That’s $21,600-$25,600 depending if you need a new house design or not. The value your property will be worth at least $100,000 more than what you spent when you have consent. 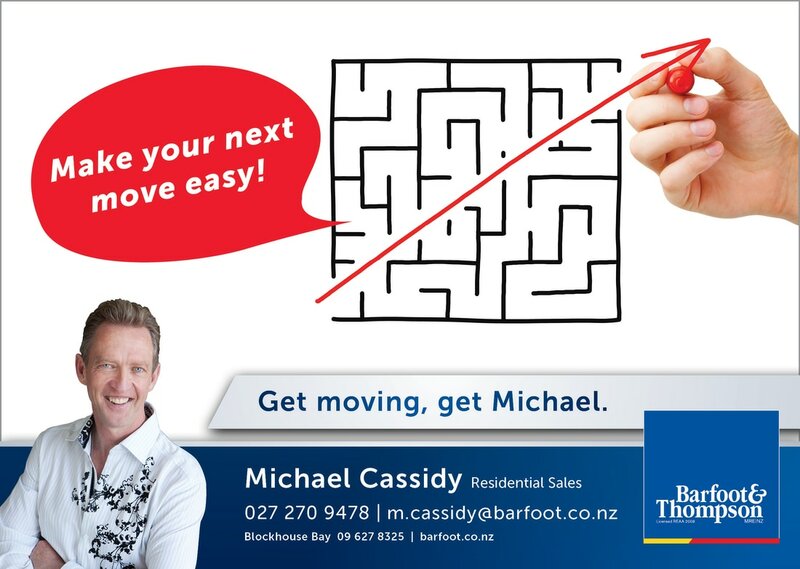 If you have a difficult site or you want more than one house, expect extra costs. A geotech report (steep land) or a flood report cost $3500 each. Unfortunately, that’s the cost to make a purse from a sow’s ear. It’s still profitable. Sometimes you need to sift through tonnes of dirt to get an ounce of gold. 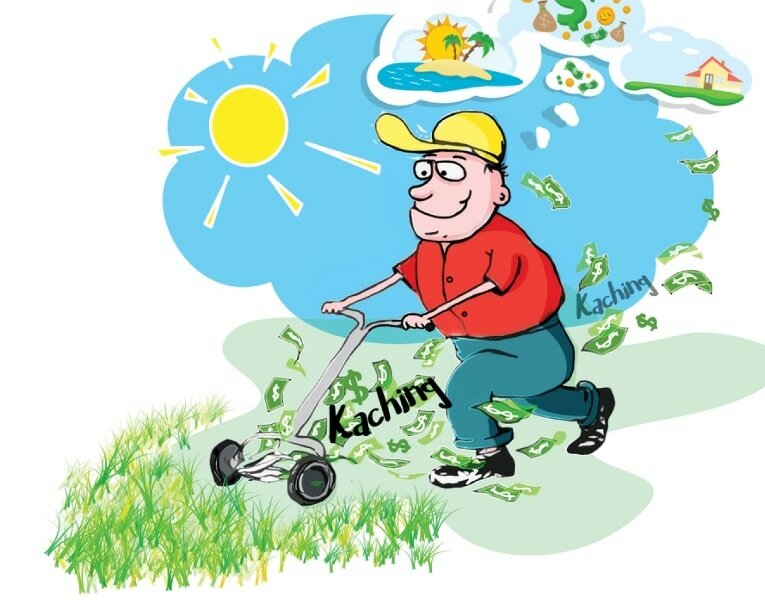 There’s no need to disturb you or your tenant to assess the potential of your excess land. Almost all the basic information is available on street view or the Auckland GIS viewer, and a consultant can estimate the potential without even leaving their office. However, it takes an expert to interpret the information. The initial advice can be obtained for free, then if you want to go ahead a surveyor and engineer would visit outside of the property, just once. 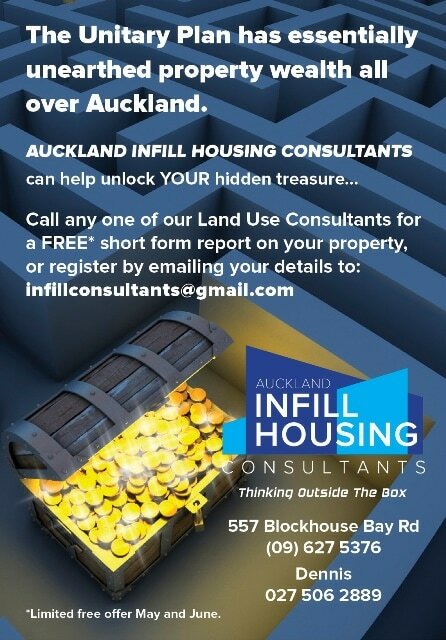 With Auckland’s infrastructure under pressure it’s better to find out what your potential is now. 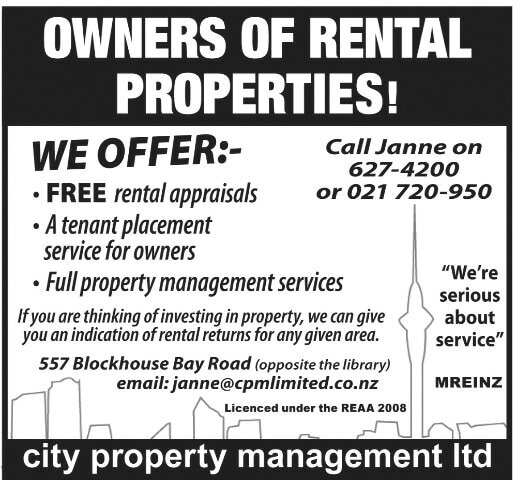 Fortunately, obtaining a resource consent is an investment with a guaranteed return. The day you get an approval your property will be worth more.